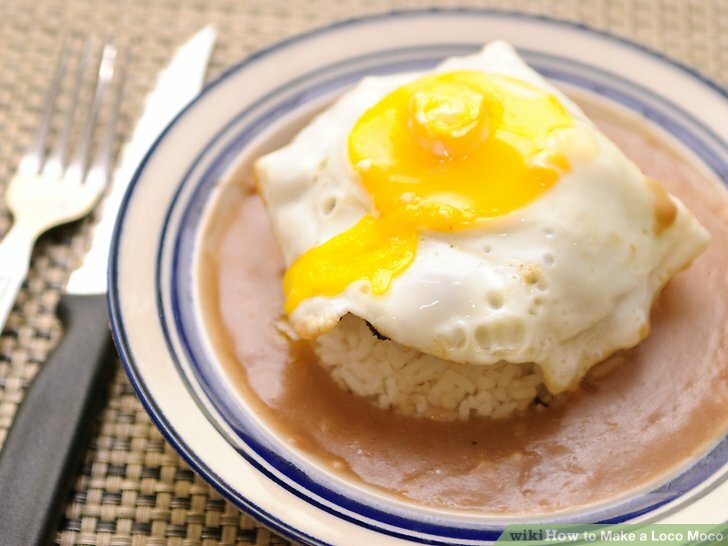 Loco moco are a menu tradition in Hawaii‘s local fast food restaurants and drive inns. Because of the ingredients in a loco moco , it’s appropriate to eat them for breakfast, lunch, or dinner. 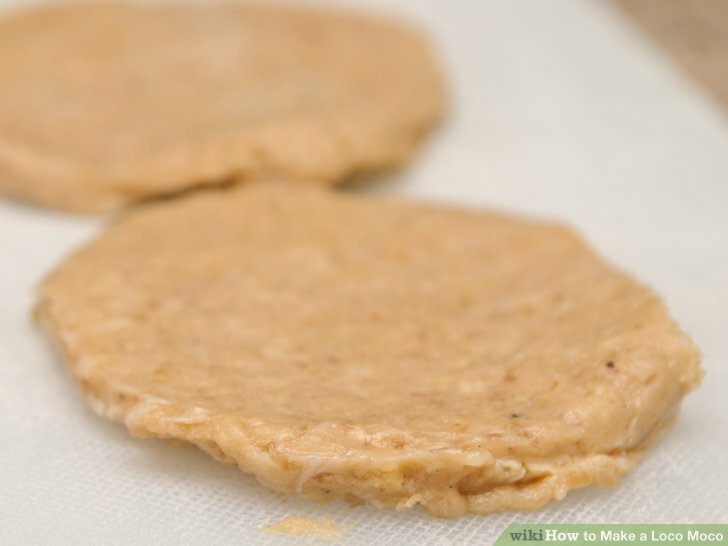 Form hamburger balls and flatten them out to the desired thickness. The size of the ball will determine the size of the patty. 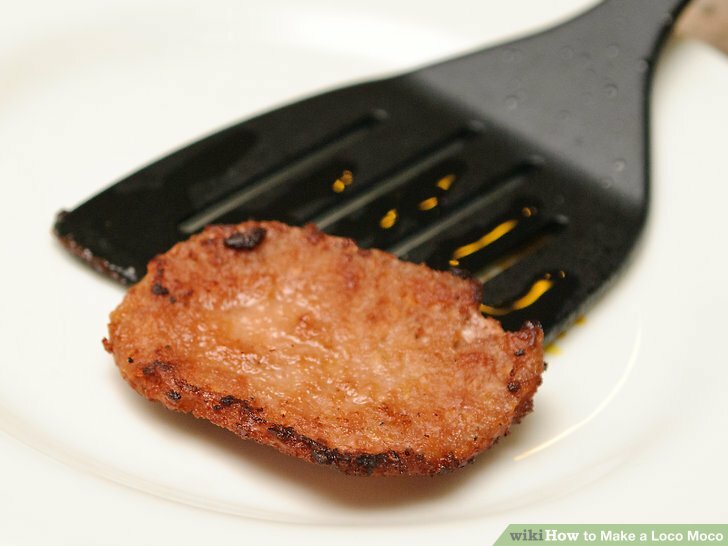 Grill your patties until a little charred, but not burnt. Juices from the patties will come to the top, which you’ll want to see. 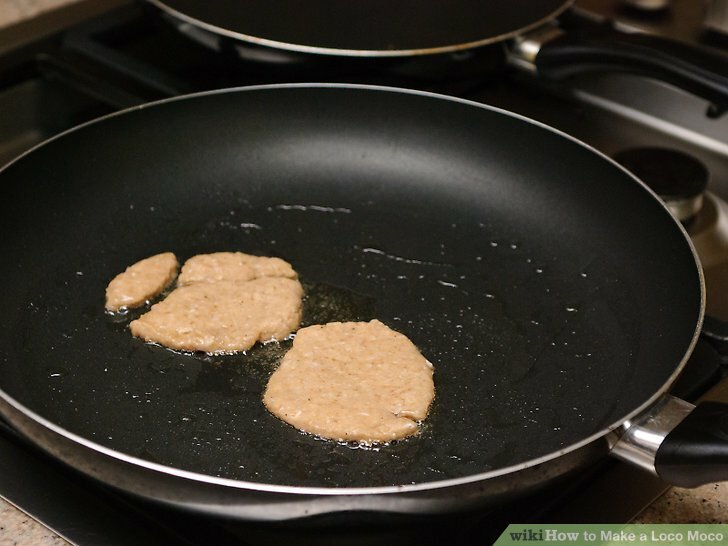 Place the patties on a plate and leave them on the side. 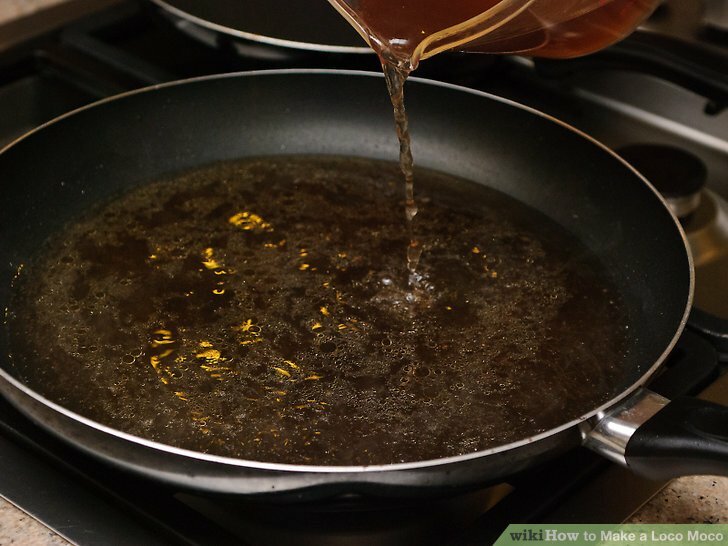 Use the same pan and juices from the burgers and add the broth to it. Heat the broth to the boiling point. Add your Worcestershire sauce to taste. Reduce the heat and let it sit for 3 to 5 minutes. See Roux recipe below for thickening instructions. Alternatively, you can sift flour directly into the gravy, but that won’t taste as good. 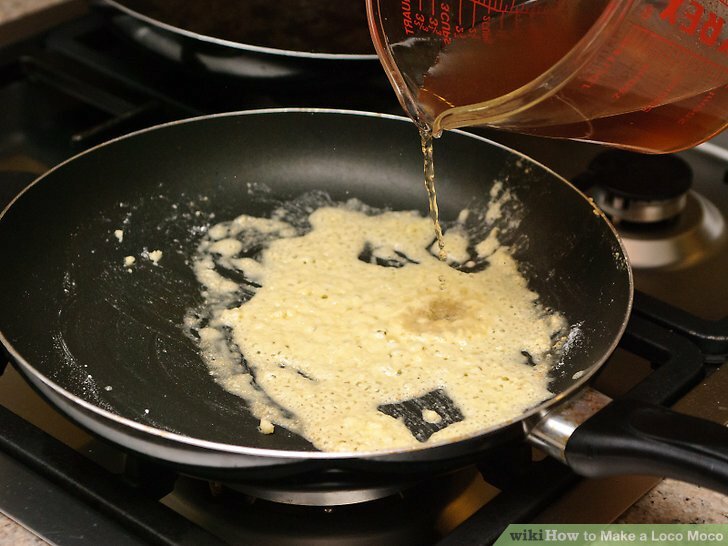 Create a roux to thicken the broth using equal parts flour and butter. 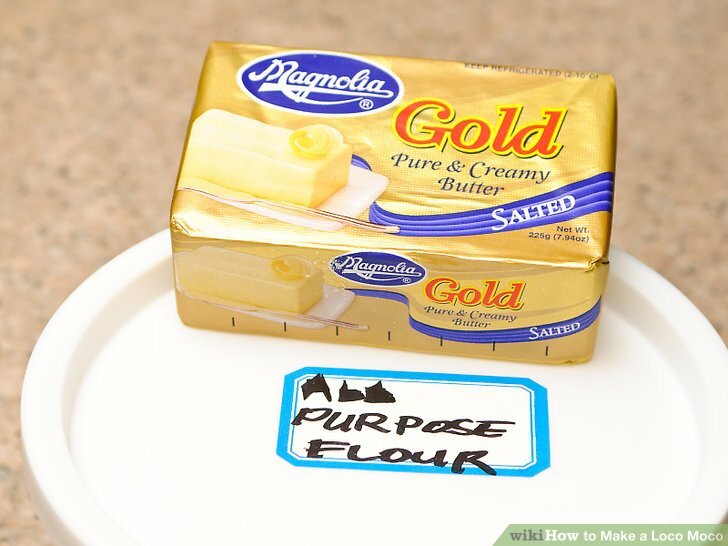 Melt your butter in a small pan and add the flour. 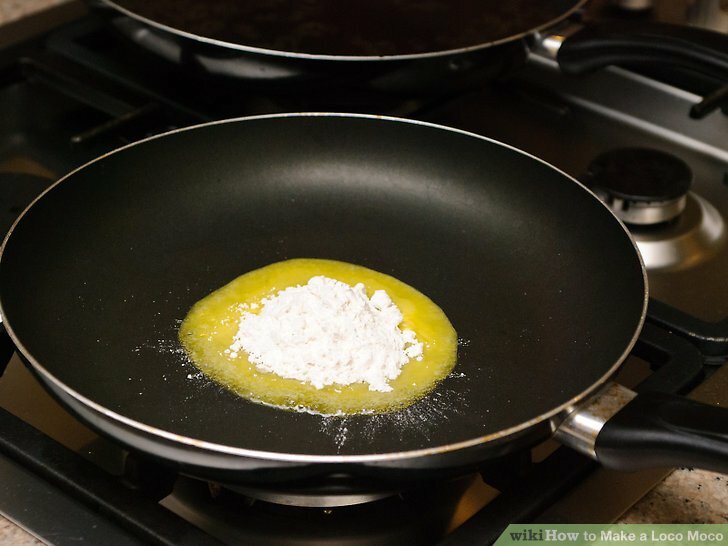 Continue to stir the flour and butter mixture for a few minutes over low heat. after 3 minutes remove from heat and let cool. After the roux has cooled add a Tbsp. of your broth to the roux mixture and stir until incorporated. 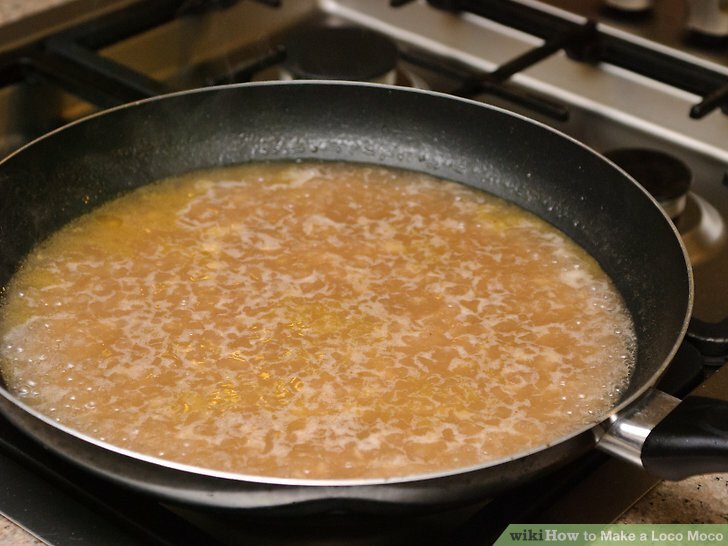 Continue to add small amounts of broth until your roux has the viscosity of milk and has a smooth texture. Bring your broth back to a simmer, slowly stir the roux into the broth, stirring the whole time. As the broth begins to thicken, turn off the heat. 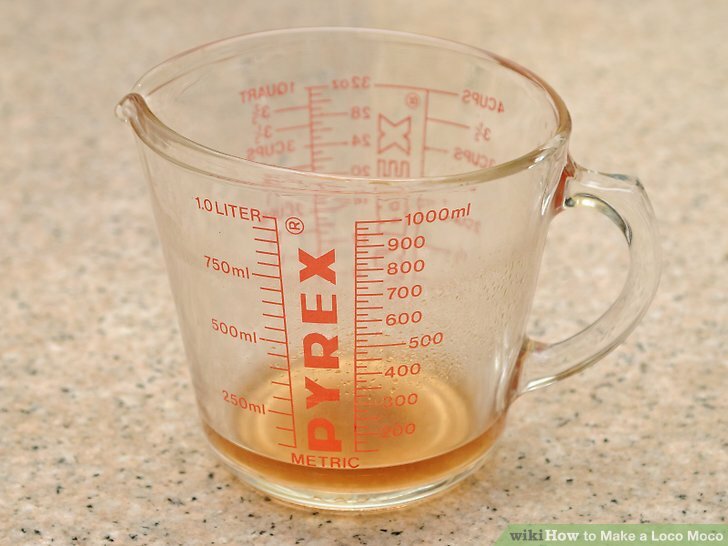 Reserve some broth on the side in case your gravy is too thick; you can add some more broth to thin it out a bit. 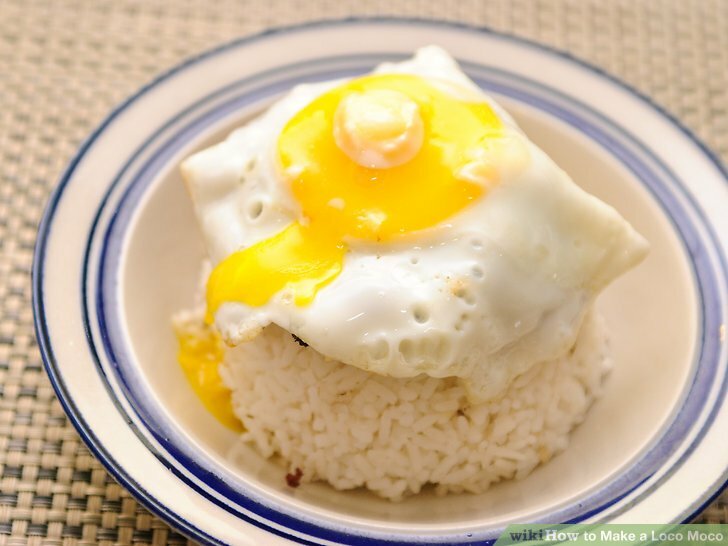 In a regular loco moco, the eggs are sunny side up. 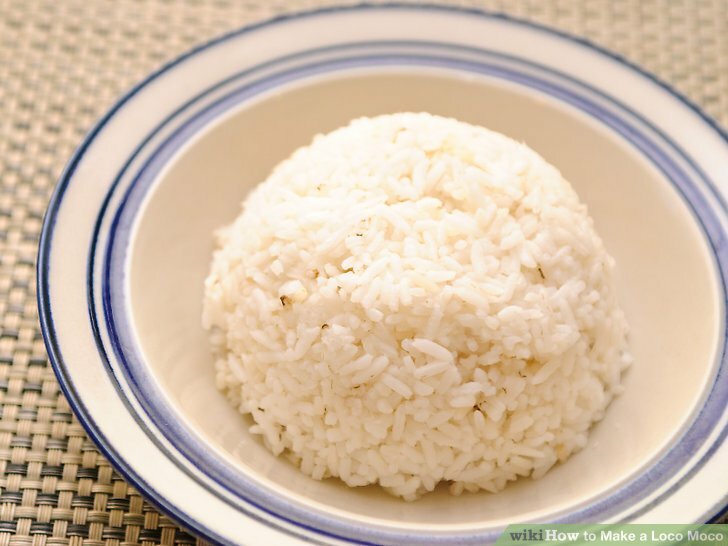 Scoop rice and place it on the bottom of the plate. 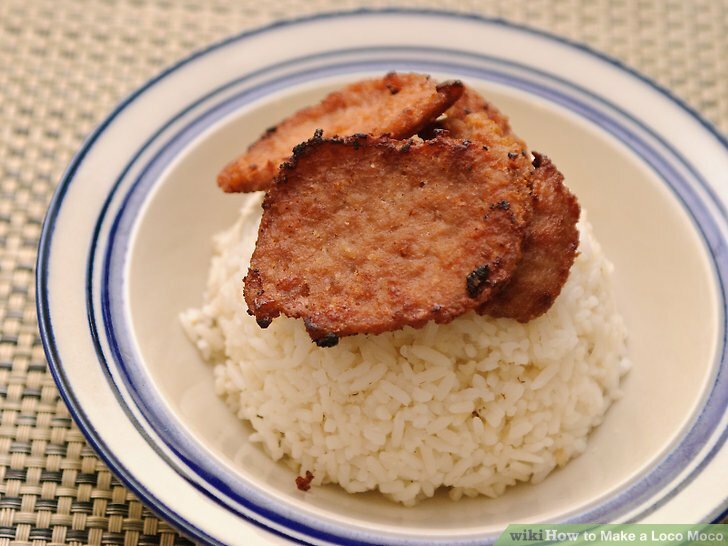 Place the hamburger(s) onto the rice. 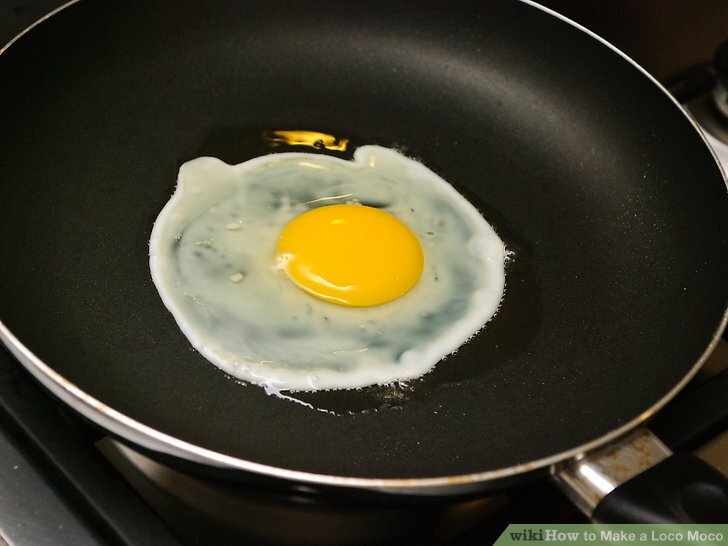 Place your eggs on top of the hamburger. Drizzle gravy as the topping of the meal.